The crash happened in the early hours of Saturday morning on the A4 motorway that links Poland and Germany. 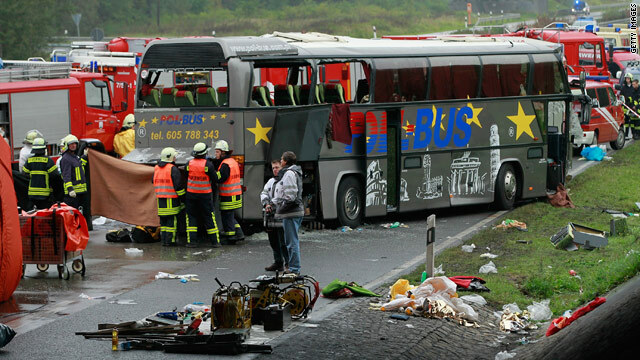 There were deaths in both the double-decker coach and the smaller minibus and there were several serious injuries, according to German authorities. According to early indications, the Polish coach crashed into a Ukrainian coach in front of it, skidding across the motorway and then collided with the Polish minibus, which was travelling in the other direction. Police blocked the motorway in both directions but could not say how long the rescue and clean-up operation was likely to take.